For every HR generalist who needs to understand the nuts-and-bolts of compensation plan design and implementation, this book is a must-read. Sharon Koss has broken down this complex area and jargon into an understandable text that enables all HR professionals to be able to link their compensation programs with their organization's strategic objectives." Gary B. Kushner, SPHR, SBP, President and CEO, Kushner & Co.
"Sharon is very skilled and competent in the world of compensation. I loved the awareness-creating pieces." "Sharon is the Bill Gates of compensation....no one knows compensation better than she does! The real feat is that she has managed to develop a resource for business that takes a complicated subject like compensation and makes it easy to understand. The forms included are a godsend!" 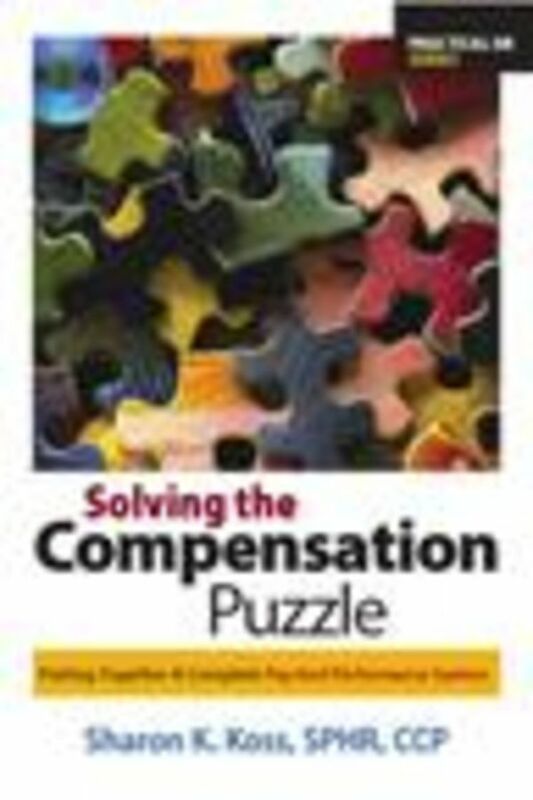 Solving the Compensation Puzzle will help you lead senior management through the compensation process, improve employees' performance and reduce turnover. An effective compensation program recognizes that monetary rewards change employee behavior. Employees want appreciation and a pleasant work environment, but they need to believe that extra effort is noticed and rewarded. It is important to have a variety of reward systems, especially for employees who want to know what is in it for them. A good pay-for-performance plan will help you attract, retain and motivate your top performers. Checklists, practical tips, sample policies, training materials and forms designed by Sharon Koss will help you design a pay-for-performance system for your organization - whether you are starting from scratch or trying to improve part of the current system.